My General Tso’s Chicken recipe is going to be your new favorite way to eat chicken and it’s better than takeout! This Classic North American-Chinese dish of fried chicken coated in a flavor-packed sauce is the definition of a “winner winner chicken dinner”! 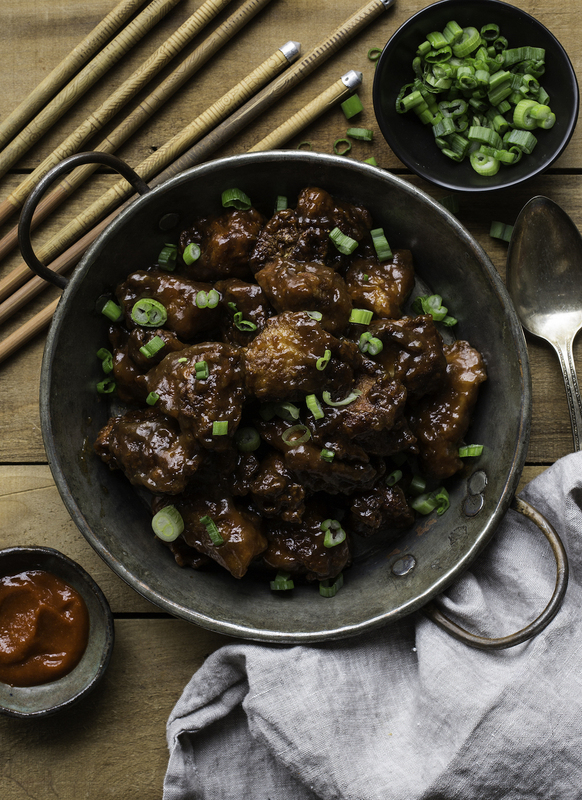 General Tso’s Chicken was one of the first recipes I ever developed and has been a family favorite ever since. After one bite, it’ll be your favorite too! In a heavy-bottomed pot preheat 3 inches of oil to 350 degrees Fahrenheit. In a large bowl, combine the cornstarch, soy sauce, water, and egg. (Note: It will be VERY thick, almost paste-like.) Add chicken pieces and mix to fully coat. Place the coated individual pieces of chicken into the hot oil, in small batches, and cook for 3-4 minutes until golden brown and cooked through. Remove cooked chicken from oil and drain on some paper towels. Repeat until all chicken is cooked. In a medium bowl, whisk together cornstarch, water, soy sauce, sriracha, rice wine vinegar, and chicken broth. Add the sesame oil to a wok or large saute pan over a medium heat. When the oil is hot add the garlic and ginger and saute for about 30 seconds. Stir in sauce mixture and cook, stirring continuously, until thickened for 1-2 minutes. Add the cooked chicken to the sauce and stir until fully coated. Continue cooking for a few minutes until hot and bubbly. Serve in a large bowl topped with sliced scallions. Don’t see where the peanut powder is included and in what quantity? Where do you purchase that? Hi, I meant to take that out of the recipe. It’s not necessary, you can leave it out. hey Eitan… good job! Enjoy your life and GO to Culinary School…do it……… build on all of this work here, bud….